If you’d like to share, join, shout, etc … please feel free. Kadence Sparrow wasn’t born a devil’s child—she was turned into one. Now, she’s hiding from the truth, and running for her life. For years, Kade’s true nature has lurked behind an illusion, so when her dad gets another job transfer, she knows the drill: no close friends, no boyfriends, and most importantly: don’t expose what she is. Ever. Keeping secrets is easy. Lies are second nature. So is the loneliness—and the fear, but when the Shadows attack, and Kade meets Cole Spires, she could expose everything she’s trying to hide. Which is thicker—blood or water? There are 5 e-book copies and 2 paperbacks up for grabs! Laney McMann is the author of The Fire Born Novels (TIED, TORN, & TRUE) and The Primordial Principles series (CRYSTALLUM, book #1 ~ 2015). She is the product of very creative parents and the most imaginative grandmother ever. With an untapped passion for the supernatural and all things magical, her voracious appetite for reading fantasy started really young ~ and so did her love of words. 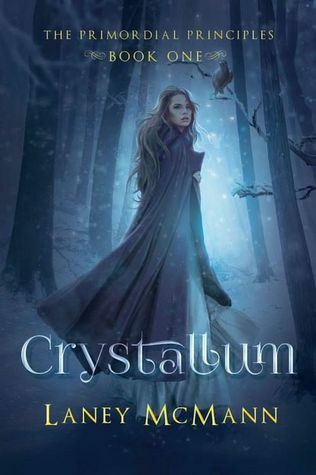 She writes young adult dark urban fantasy novels mixed with a spike of romance, a hint of history, a dash of mythology, and lots of paranormal. On the non-writing side of life, Laney is a former classical dancer, music snob, chef, and a right-brained thinker to a fault. When she’s not dreaming up new dead ends to torture herself with, she spends her time running. Laney is published by J. Taylor Publishing and Booktrope Publishing. Giveaway ends November 30, 2015.